Have you ever taken the Kawarthas Northumberland Butter Tart Tour? 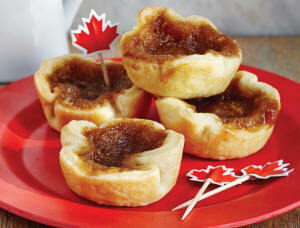 There are dozens of stops offering some of the best butter tarts in the province. On Saturday, June 30th the Rotary Club of Cobourg will host a pop-up butter tart festival in the Rotary Bistro. We have six amazing bakers competing for big awards (well, maybe not "big") and you can join in the fun. Is the crust of medium thickness, tender and flaky? Does the tart hold shape when served? The filling should ooze but not run when eaten. Our panel of judges will have a tough job but you can help by picking your favourite. At the end of the day, the bakery that sells the most tarts will be awarded the People Choice Award!